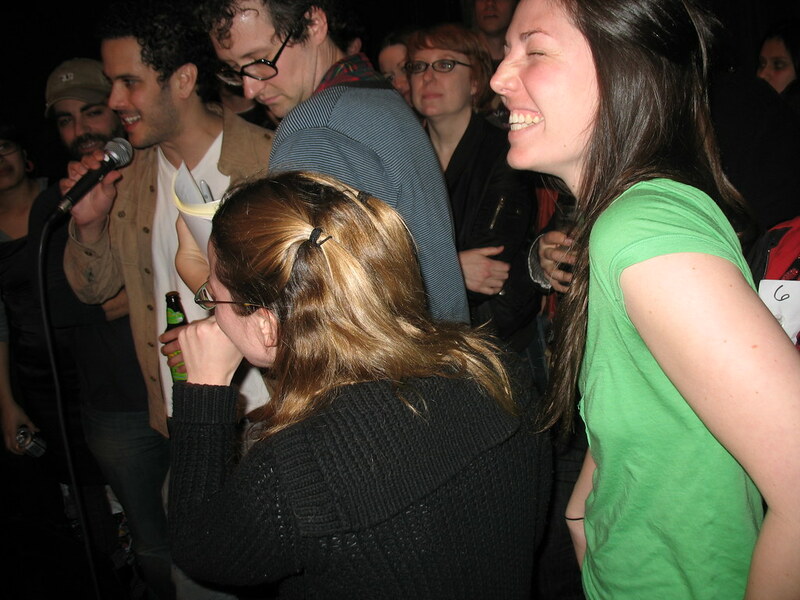 Welcome to 2009, Chili Takedown. This is no time to be splurging on pounds and pounds of beef. Sorry, heritage pork (except for your bones and spare ribs, which I’ll get to in a bit). I’m not even doing the fresh garnish doodads anymore. This is recession era chili. And I’m going back to the basics of peasant home cookery — that is, minimal amounts of meat, used for flavor mostly, cheap winter vegetables, and lots and lots of B-E-A-N-S. But before I get into the recipe further, wow! 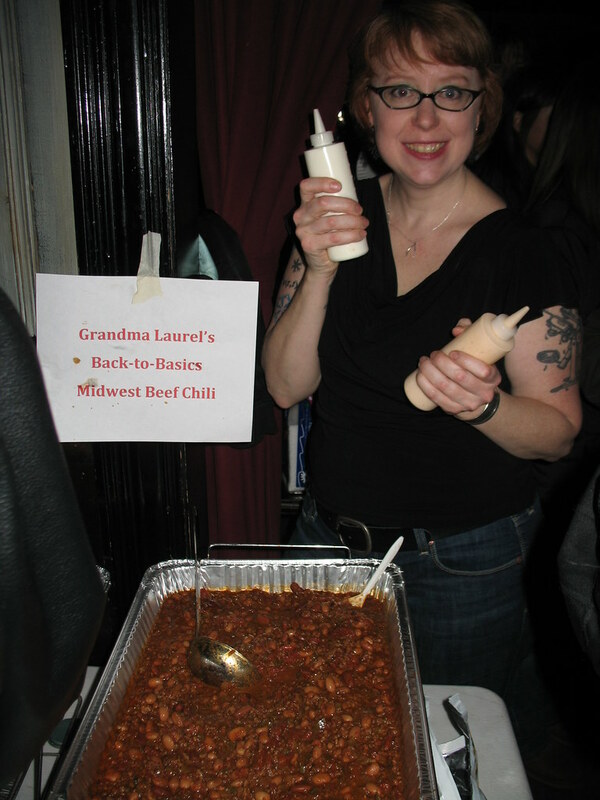 Did you go to Union Pool last night, for the second Chili Takedown hosted there? I think my readership, on a good day, might compare with the throngs of you who did. Wow. Did you get out of there alright? In there alright? I barely did myself. My elbows are seriously hurting. 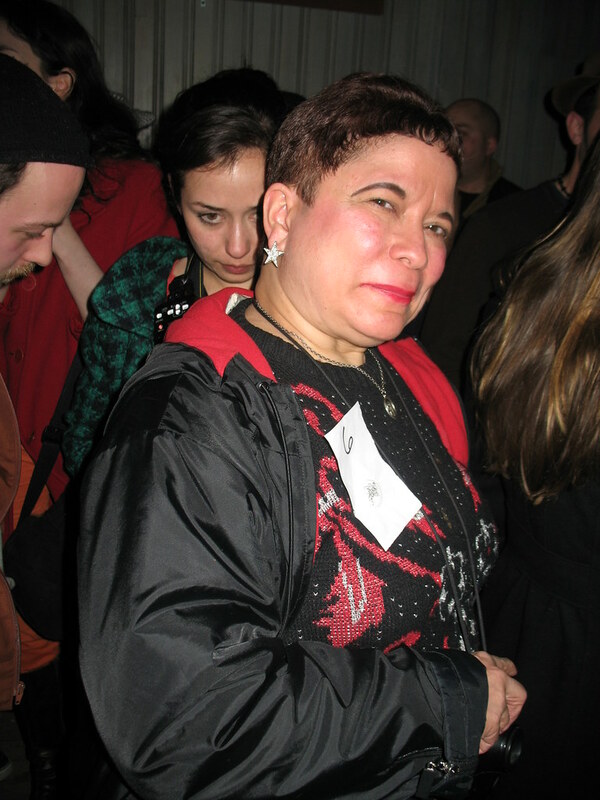 All I know about the tasting experience was that I found myself in a tight cyclone of bodies beside Rachel Wharton, food writer and friend, as we attempted to scoop our way along the arm and shoulder-blocked trays of chilis in the bar’s back room. Host Matt Timms even had to set up five or so extra chili contestant stations in the patio — yes, outside, it was that goofy. Thank the chili gods New York City was having an unusually springlike sixty-degree winter evening. the line to get into the back room (pictured) swelled through the patio, through the main bar, to the door and down the block! 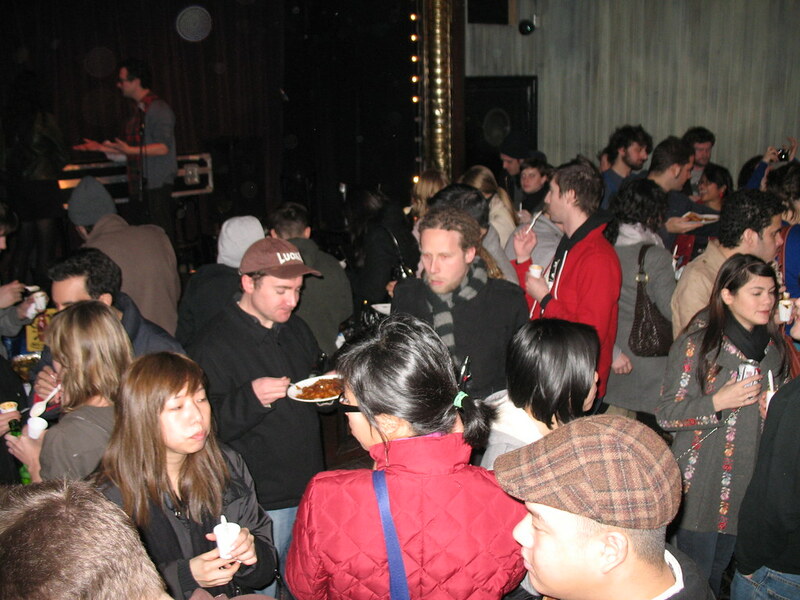 While the crowds were pretty astounding for the Chili Takedown, or any amateur New York City cook-off for that matter, the competitors, actually, were not so much. 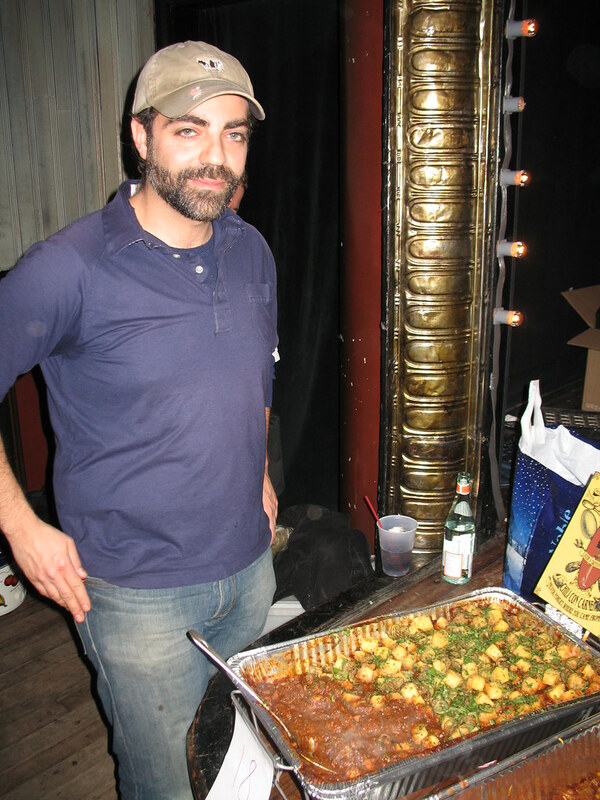 Matt Timms, fearing for his life, capped the entries when it hit thirty chilis, and among those were many familiar folks to local cook-offs. But that’s not all! There were two “secret judges” lurking around the tasting pack, who happened to be Time Out New York “Eat Out” Editor Gabriella Gershenson and The Feedbag‘s own Keith Wagstaff. They also chose their three favorite chilis of the night, and in third place, also chose Nick Suarez’s chili; in second place, they pinned Theo Peck’s; and, as the dark horse of the evening, in first place, the judges chose a white bean and chicken chili made by the delighted duo of Katie Feola and Anne Garret, below. So as you can see, Recession Chili didn’t make the cut. At least this time I don’t feel miffed about spending oodles of cash on my entry! My chili was not vegetarian, however. Like an old-fashioned baked beans or pot of soup, I used bony, flavorful cuts of meat like spare ribs and a ham hock — along with lots of bacon — to simmer my beans with. I also soaked a generous portion of dried poblano peppers, or anchos, and ground them in a food processor for that deep mahogany sauce. Roasted, caramelized squares of butternut squash were mixed in at the last minute. When browsing the Greenmarket on Saturday for chili additions, I of course saw plenty of winter squash. How many things are a dollar a pound these days? Last I checked, King Arthur brand flour was not even that. But all the squashes, fresh and farmed locally, were. So with those, as well as simmered tomatoes, onions, some peppers and beer, my thrifty chili was built. Talking to strangers and fellow chefs around the bar that night, I heard from a lot of people that they especially liked my chili’s “unique” topping; I’d saved the butternut squash seeds and roasted them in brown sugar and a bit of cayenne. I combined them with bits of bacon and crispy-roasted scallions in a salty-sweet, crunchy and sticky confetti to shower the top of my chili with. Kudos to the winners of this enormous Takedown. 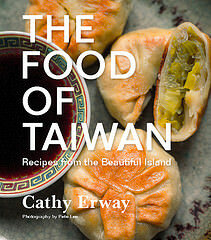 While not a winner, my recipe’s posted below. 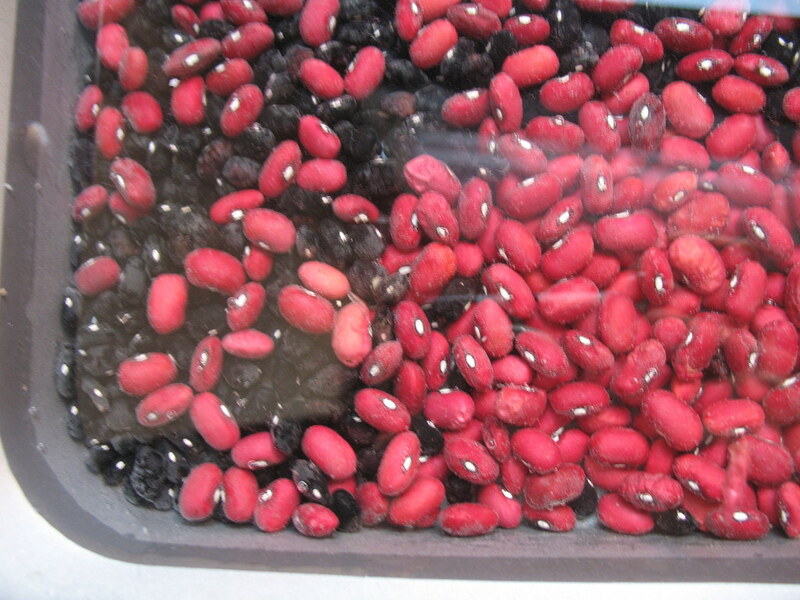 Soak the beans with at least three inches of water to cover overnight. Drain and rinse. Put the ancho pieces in a pot with about 1 quart of water. Bring to a boil, then let soak, covered, for 30 minutes. Once cool enough to handle, carefully pour the mixture into a food processor (in batches if necessary) and blend to a smooth paste. Season the spareribs with salt and pepper. Heat a large pot with a couple tablespoons of vegetable oil and sear both sides of the spareribs on very high heat, about 2 minutes per side. Remove and set aside. Reduce heat to medium, add more oil, and cook the bacon (setting aside 1 strips for the topping) for a couple minutes. Add the onions, carrots and green pepper and cook, stirring occasionally, about 6 minutes or until the onions turn translucent. Scrape up any of the browned bits on the bottom of the pan. Return the spareribs to the pot along with the ham hock and add the beer. Bring to a boil and cook, stirring, about 2 minutes. In a separate bowl or the can, crush the canned tomatoes well with your hands. Add the tomatoes, tomato paste, garlic, ancho paste, ham hock, beans, and if necessary, a little water or chicken stock just to cover. Season with a few pinches of the dried spices. Bring to a boil and cover and simmer about 1 1/2 hours or until beans are tender. 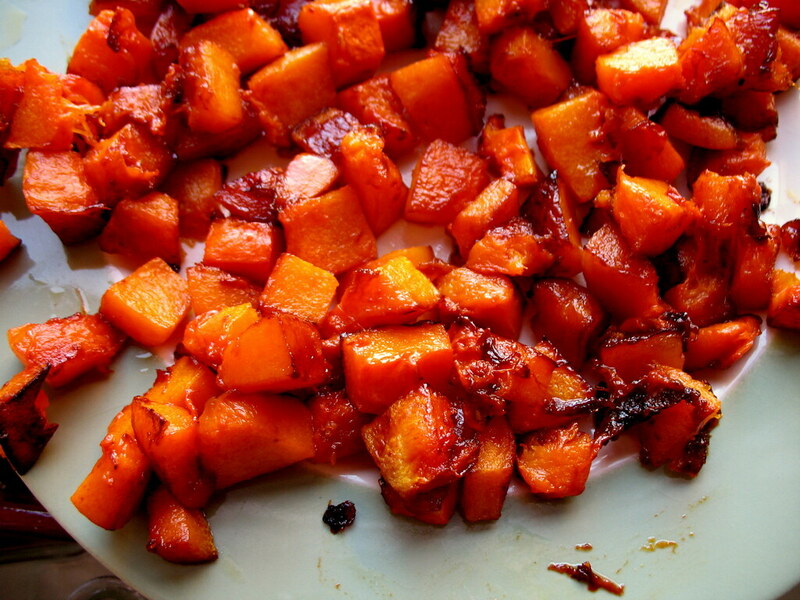 Meanwhile, coat the butternut squash cubes with vegetable oil and spread in a single layer on a roasting pan. Roast at 400 degrees about 6 minutes, then rotate/flip pieces with tongs once. Roast another 6 minutes or so until crisp and caramelized at parts. Remove from pan and set aside. 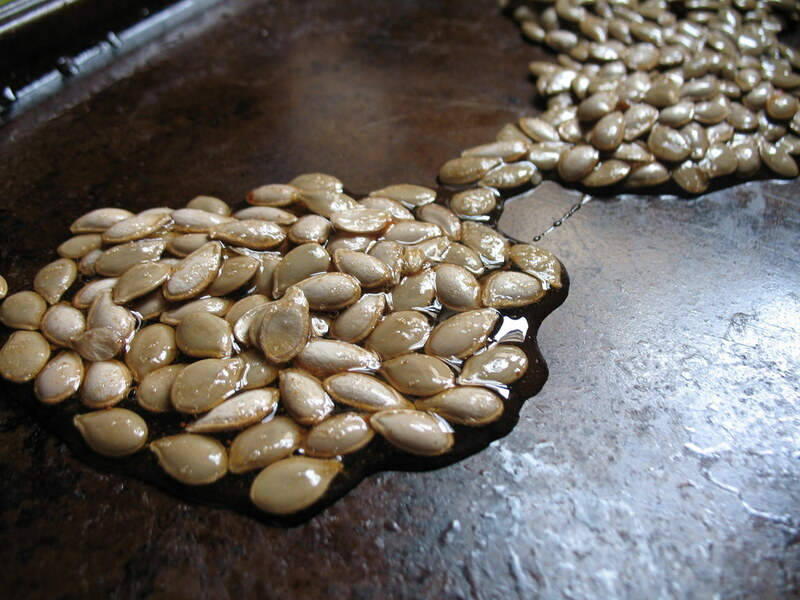 Coat the reserved squash seeds in 2 tablespoons of the brown sugar, a few pinches of cayenne pepper and some vegetable oil. 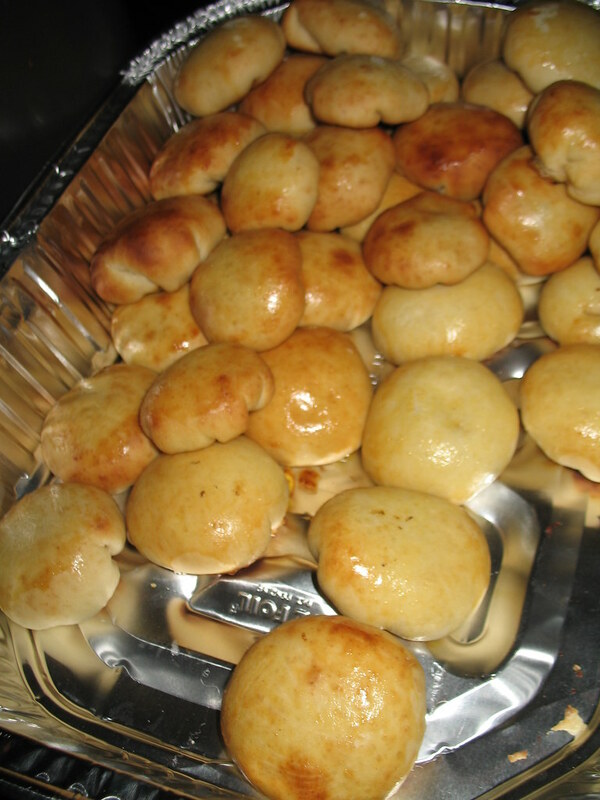 Reduce oven to 300 degrees and roast for about 40 minutes or until crisp. Remove and set aside. Roast the remaining bacon strip and scallions at 375 degrees for about 10 minutes, or until crispy. Remove and set aside. 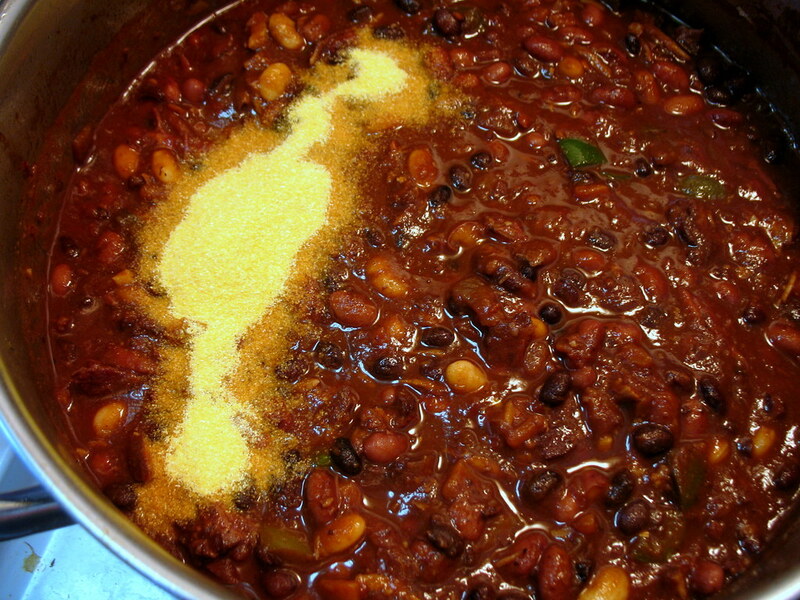 Once chili has simmered at least one and a half hours, remove the ham hock and spare ribs and place in a large bowl. Once cool enough to handle, pick all the pieces of meat from the bones. Discard bones, and return the shreds of meat to the chili. Add the brown sugar and cornmeal (to thicken). Taste chili for seasoning, adding salt and any extra spices as desired. Once seasoning has been adjusted to desired taste, add the roasted squash pieces. 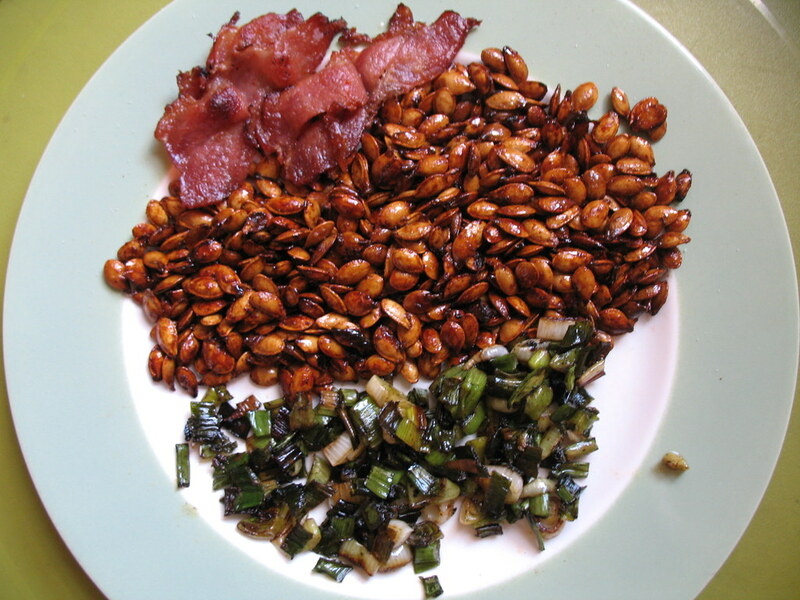 Serve with a mixture of the roasted squash seeds, the crushed slice of bacon and roasted scallions to top. I did not get in ok. Decided to leave after about 20 minutes in line, half way into the bar area after scoping out how deep the crowd was outside and in the back. Good things just don’t last long enough in this city. It was so awesome and everything i wished for. Hope you enjoyed the jamwich I foisted on you. I’m such a cookie-pusher. 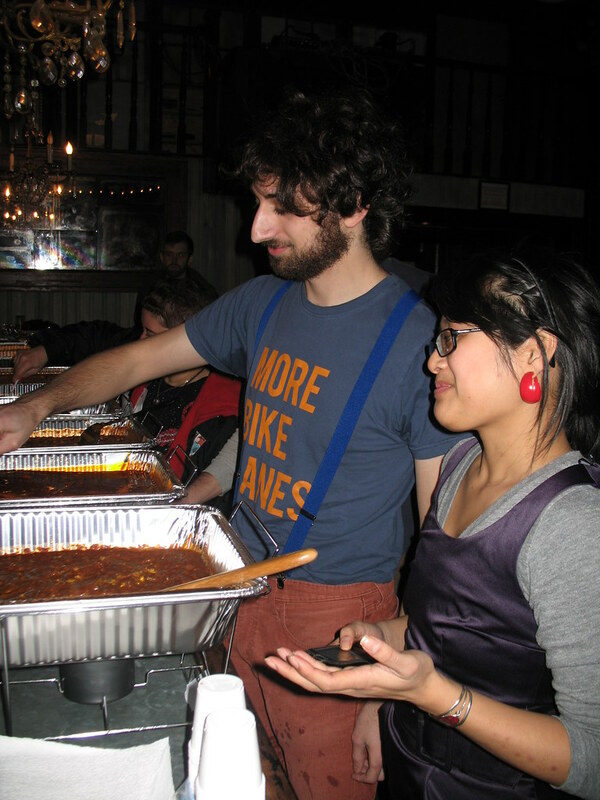 CHILI TAKEDOWN › Village Voice shoots the BCT !!! Have you made Obama’s chili? It’s even better for recession budgets! line so long and bar too packed that my friend & i sat about and drank beers instead of elbowing/shoulder-checking our way to all the chili . . . good look on the “recession” idea. I am using my brain to figure out how to get this thing to a bigger space!!! Was incredible!!!!! I love your blog so much but for someone who is relatively new in town, how do you get involved in so many cookoffs. I’d love to get involved but can’t seem to find information on them…thanks. Chili — New Yawk City. No that’s an OXYMORON, if ever I heard one. Beans in chili (recession or not)? Not here in Texas, thank you very much. Here in Texas, we eat REAL food.